CINCINNATI -- For thousands of kids who attend Cincinnati Public Schools, spring break will mean no homework, no tests -- and no reliable source of food until classes start again. That's because this year's break falls at the end of the month, long after many families in need have spent the money the government gives them for food. Tony Fairhead calls it the "double whammy." "It's extremely scary," said Fairhead, executive director and co-founder of the nonprofit Childhood Food Solutions . "How would I survive if I was a mom, and I'd completely run out of food, and my children were crying?" That's why Childhood Food Solutions has developed a system for helping families when they need it most. As they leave school today, 5,200 students from some of the poorest neighborhoods on the West Side will take home grocery bags filled with enough food to keep them fed through the end of the month. The idea is to pack the sacks with calorie-dense food that fills up stomachs quickly and provides enough to feed entire families on days kids don't have access to meals at school. 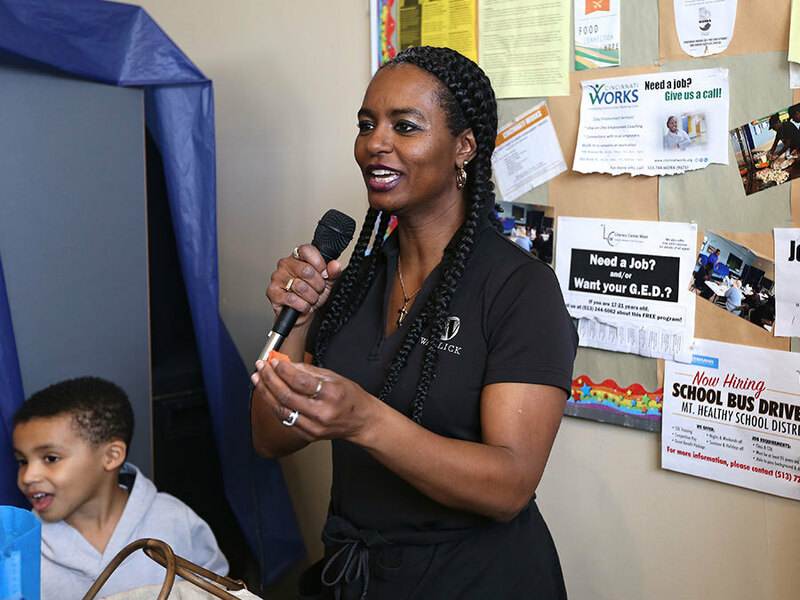 Childhood Food Solutions has been providing food to students at Roll Hill Academy and Ethel M. Taylor Academy in North Fairmount for more than a decade. More recently, the organization has expanded to include seven nearby elementary schools in South Fairmount, Lower Price Hill and West Price Hill. 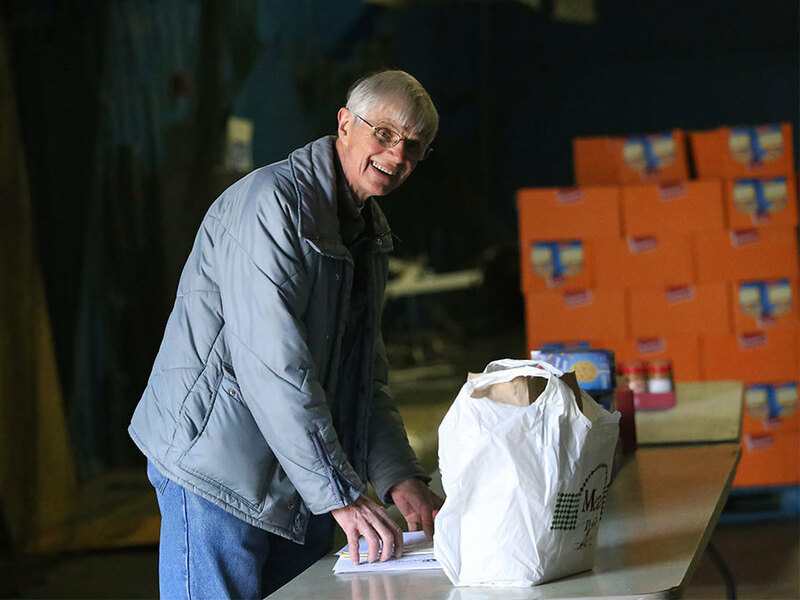 In addition to breaks during the school year, the organization sends home sacks of food for weekends late in the month and distributes food to families during the summer, too. Felicia Jones' kids have been bringing home the bags of food for the past couple of years each time they have been distributed at Roll Hill Academy. And even though only two of her children go to school there, the sacks have enough food to help feed all five of her kids, Jones said. "Sometimes we don't have anything, and it helps out," she said. "It's food in our cabinets. It makes a difference." Childhood Food Solutions has data to suggest the food the nonprofit distributes has made a difference for the community as a whole. • At Roll Hill and Ethel M. Taylor academies -- the two schools where the organization has focused its efforts -- reading test scores increased by 67 percent, and math test scores increased by 40 percent between 2008 and 2015. • The number of preterm births has decreased by 17 percent in the 45225 ZIP code since 2007. • And the number of low-weight births has dropped by 30 percent in that same area during that time. Fairhead knows those numbers don't prove that the food from Childhood Food Solutions has been the cause of those improvements. But Roll Hill Academy Principal Vicki Graves-Hill said she believes it has helped. "You can work a lot better if you're not dealing with hunger," she said. "We all know how it feels when our stomachs hurt." The program makes a difference in North Fairmount in other ways, too. "It allows them to take ownership first in their own community," said Lisa Hyde-Miller. She's the long-time service coordinator at the Villages at Roll Hill for Wallick-Hendy Properties and co-founder of Childhood Food Solutions. "They come out and help bag the food that their kids are going to take home. It helps them learn how to stretch the little food they have for the first 15 days of the month." Hyde-Miller has heard complaints that Childhood Food Solutions is enabling families with the food the organization provides. But she tells her residents, "I'm not your crutch. I'm your helping hand." "When the kids cannot do for themselves, where the parents may have lost a job or their benefits are over, I'm helping them out," she said. She and Fairhead are convinced that hungry kids can't learn as well and that newborns aren't as healthy when they're born to moms who have been hungry throughout their pregnancies. "It's not the children's fault, and some of it's not the parents' fault," Hyde-Miller said. "A lot of my parents want to get jobs. They want to get off welfare. They get that part-time job but then lose it because they have daycare issues. That's when hunger increases." 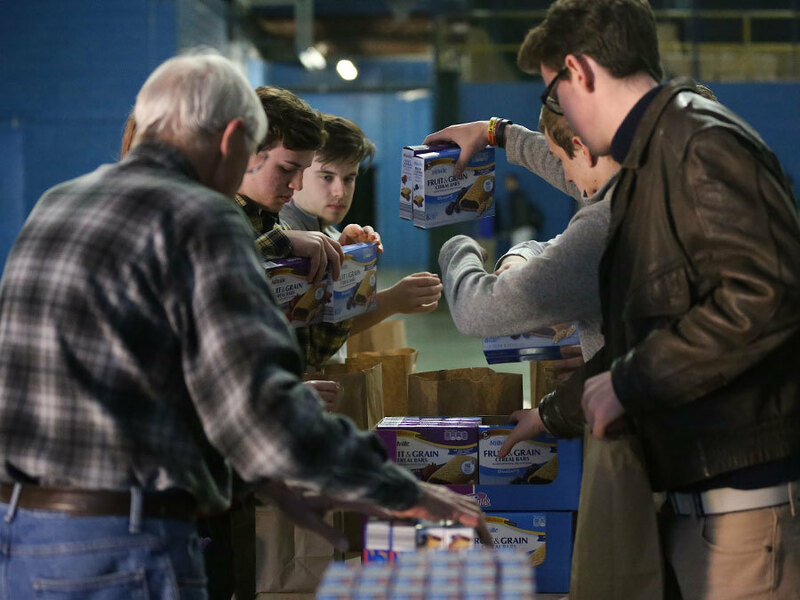 The system for distributing food assistance to families has changed in recent years. 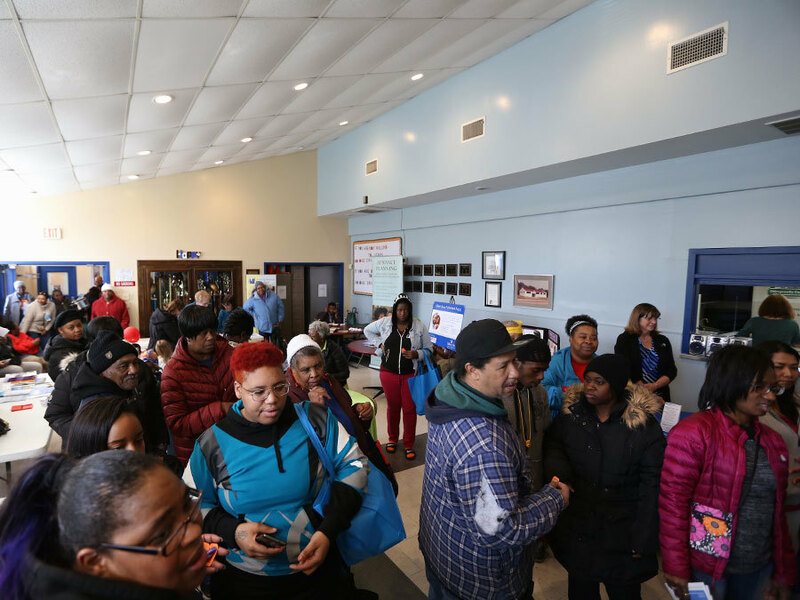 It used to be that all families who received help through the Supplemental Nutrition Assistance Program, formerly known as food stamps, got the money in the first few days of the month. But in February 2014, the system changed to stagger the distribution, said Brian Gregg, a spokesman for Hamilton County Job & Family Services. The SNAP cards now are loaded sometime between the second day of the month and the 20th day of the month, depending on a family's case number, Gregg said. It's still true that most families spend the majority of their food assistance money within 10 days of receiving it, Gregg said. But not everyone gets the money at the start of the month anymore. Even so, Graves-Hill said she knows there are students at Roll Hill who are more likely to be hungry at the end of the month, and Childhood Food Solutions has been there to help. "It doesn't matter what the reason is," she said. "We just want to make sure they get fed." Fairhead does, too, and he has it calculated down to the calorie. School meals give kids 1,150 calories per day -- 400 at breakfast and 150 at lunch. So Childhood Food Solutions provides each child with 1,150 calories on days they aren't in school to make up for those missed meals. For spring break, each sack will contain a jar of peanut butter, two boxes of graham crackers, two eight-count boxes of fruit and grain bars, two boxes of macaroni and cheese and one package of fruit snacks for a total of 9,720 calories. "The child is able to carry six to seven pounds of physical weight," Fairhead said. "When they get home, they've got 40 fill-ups." It's an analytical approach to what can be a heart-breaking problem. Fairhead recalled a thank you note he received from a little girl who took home a sack of food. "Thank you for the food," she wrote. "We shared it with our cousins, and our cousins smiled. And our cousins never smile." The 5,200 sacks of food that Childhood Food Solutions distributed today are designed to produce thousands more smiles, and full stomachs, over the coming week. More information about Childhood Food Solutions is available online .